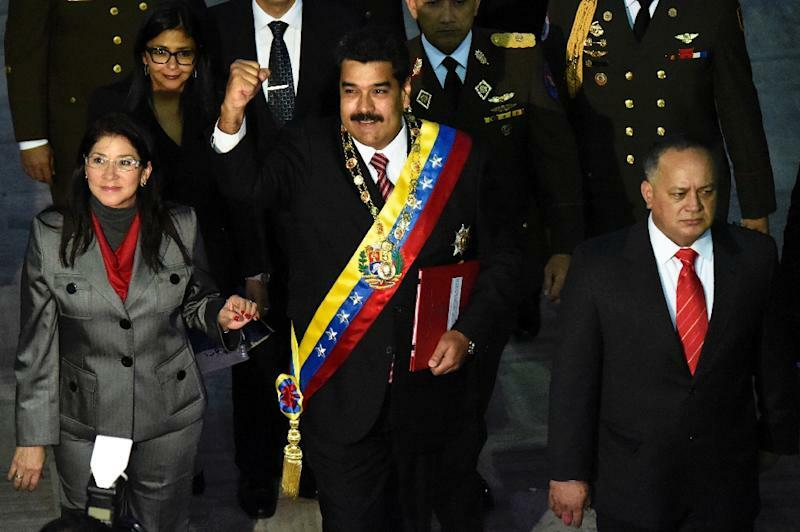 Caracas (AFP) - Venezuelan President Nicolas Maduro moved closer Wednesday to ruling by decree after the legislature held a first vote that would allow him to act against "external or internal" threats to peace. 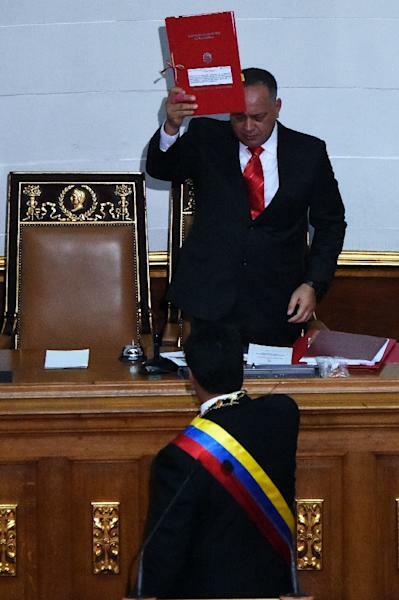 Amid deteriorating relations with Washington, Maduro attended the session of the National Assembly to ask for the special legislative powers to confront perceived a US threat. His move raised concerns that he would use decrees to crack down on the opposition and curb individual rights. "The aggression and threat from the US government is the biggest that Venezuela has ever faced and the response must be national unity," the socialist leader said. Maduro urged the population to hold on Saturday a "defense exercise to prevent the yankee boot to ever touch our fatherland." He did not elaborate on the nature of the defense activity. The Venezuelan president has accused Washington of backing an opposition plot to bomb the presidential palace in order to overthrow him. The legislature, dominated by the ruling party, approved the six-month decree powers in a hand vote early Wednesday. A second vote is now needed. The legislation would allow Maduro to issue decrees for the "protection against meddling by other states in the internal affairs of the republic, militaristic actions or any external or internal activity that aims to break the peace." Maduro sought the increased powers after US President Barack Obama ordered new sanctions on Monday against seven Venezuelan officials over their involvement in a crackdown on the opposition. The US State Department denied that Washington was promoting "instability" or seeking to undermine Maduro’s administration, with spokeswoman Jen Psaki saying "the goal of the sanctions is to persuade the government of Venezuela to change their behavior." Obama called oil-rich Venezuela "an extraordinary threat to the national security" of the United States. The two nations have not exchanged ambassadors since 2010. Despite the rift, Venezuela continues to be a major oil exporter to the United States, shipping almost one million barrels per day up north. Analysts and non-governmental organizations said Maduro could seize on the special powers to curb individual rights, invoking the specter of an external threat to justify his request. "Using the external enemy, which is imperialism, the government takes advantage to build a more repressive legal framework," Edgard Gutierrez, coordinator of the Venebarometro polling firm, told AFP. Rocio San Miguel, head of the Control Ciudadano NGO specializing in security issues, said the legislation would "be an instrument against the internal enemy ... to undermine human rights." Maduro, who was elected to succeed his late mentor Hugo Chavez in April 2013, had obtained one-year-long powers to impose economic laws by decree later that same year. Chavez issued hundreds of decrees during his 1999-2013 administration. Maduro's popularity has sunk to around 20 percent amid an economic crisis, galloping inflation and huge lines outside supermarkets plagued by drastic food shortages. He is likely to secure the decree powers, given that he has the 60 percent majority needed in the unicameral legislature, with 99 of 165 seats filled by loyalists. 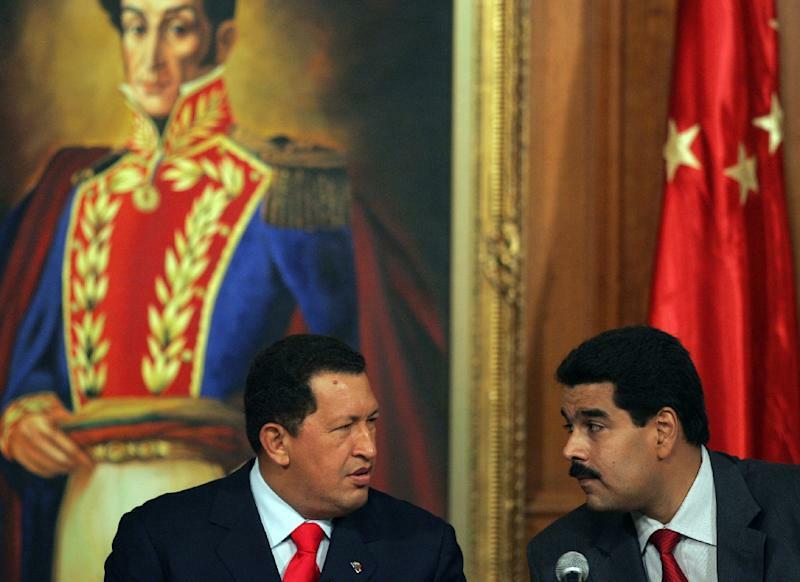 Venezuela's regional allies Cuba and Ecuador closed ranks behind Caracas. An official statement published in communist Cuba's state-run media called the US sanctions "arbitrary and aggressive." It was the first confrontation between Havana and Washington since the two countries agreed to seek normal relations in December. Ecuador's leftist President Rafael Correa took to Twitter to denounce the US sanctions as "grotesque" and a "sick joke." The secretary general of the Organization of American States, Jose Miguel Insulza, said the regional body's permanent council should hold a meeting about the US-Venezuela row.